Location: I conduct most of my sessions over the phone or via skype so location is not a limitation. About Angela: I work mainly with the relationships between people and horses, specialising on the people side of the relationship especially where horses surrogate the dis-eases or mirror behaviours of the person, although I find the most work is on the people issues of the animal issue. As horses are essentially looking for good leadership, I specialise in assisting people to develop their confidence, leadership and partnership skills. About Anna: Read about how Anna uses Rider Biomechanics and Bodytalk for horses and riders on this link. Location: Tasmania – Mobile Animal Clinic – Home Visits in Tasmania, Phone consults Australia Wide. What Belinda does: Animal Homeopath & Equine Touch Practitioner Diploma of Animal Homeopathy, Anatomy & Physiology certificate, Equine Touch practitioner. Belinda is passionate about helping animals returning to good health – naturally. She has had some amazing results with Homeopathy & the Equine Touch. Belinda has had great results for horses with laminitis. She specialises in horses, as she runs her own horse stud breeding Welsh Cobs & Miniature Equines. Natural products also for sale. What Cindy does: facilitates programs for human development, learning and healing – with horses as teachers and healers. Certified in Canine Massage Therapy. About Crystal: I provide a variety of holistic horse care services including barefoot trimming, acupuncture, massage, fitness assessments, aromatherapy, acupressure and more! I also supply hard to find products (Either the 1st or 2nd in WA or Australia!) such as hoof boots, all natural supplements, natural hoof care, draper therapies and more! About Dennis: Dennis is a horse masseur and judging by the results that I saw at the three day 240 km endurance/marathon ride, a pretty good one. On some of the big rides like The Quilty, he can be doing 60 horses at the end of each leg of the ride, to prepare them for the next. Dennis is not much of one for technology and he’s a bit of an old fashioned kind of a bloke who wouldn’t do much to blow his own trumpet, so I said I would do his listing for him. He calls himself a horse chiropractor on his business card, but as he said to me “You can’t move the bones”, so it’s not like human chiropractic. Dennis has loved horses all his life and has been doing this work for 35 years. He works extensively on all kinds of horses including the big performance horses, thoroughbred race horses, trotters and endurance horses. Location: Australia and distribute worldwide. Phone 1800 067 110 5. What Heidi does: The SpectraVET™ Therapeutic Lasers offer reliable, effective and affordable treatment of musculoskeletal injuries and conditions commonly suffered by performance animals and pets alike. Designed for portable operation, SpectraVET Laser Systems are lightweight and simple to operate, yet rugged and powerful enough for the most demanding user. SpectraVET offers a wide range of single-laser and multi-laser probes, each designed specifically for a particular application, such as high-power, large multi-diode probes for horses and other large animals, and lower-powered, smaller-sized probes for greyhounds, and other dogs and small animals. Click here to go to Hetty’s website and learn more about what she does. About Hetty and Chakra Park: I am a Clinical Herbalist, Aromatherapist, Reiki Practitioner, and Energy Healer. I utilise Red Light, Acupressure, Massage, Nutrition, Herbs, Essential Oils, Essences, Tissue Salts, Meridian and Chakra Cleaning and Balancing in my work. I am continually learning and seeking out information to assist me and my patients with my work as a healer. I also make and sell (retail and wholesale) herbal creams to assist with healing Arnica, Calendula, Comfrey and Manuka. Click here to look at Hetty’s extended listing for more about what she does and what she is passionate about. What Holly does: She creates natural products for horses made from essential oils. About Jane: Jane is a qualified hypnotherapist (yes, hypno… therapist and ego state therapist. She is also a dedicated endurance competitor, trainer and owner. She has competed nationally and internationally including bronze international rider representing Australia in the 2001 Pan American Endurance Championship at Vermont USA. 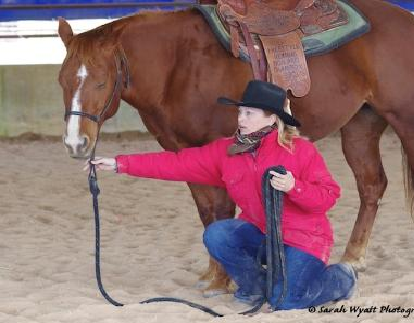 What Jane does: Do you want to be clear, confident and connected with your horses? Do you want to feel alive and joyful around your horses? 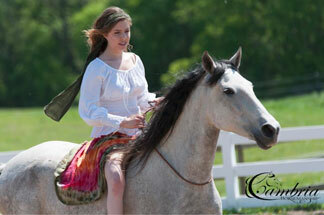 Do you want to develop your skills and horsemanship to a higher level? We all want to achieve a safe and happy relationship with our horse. If the reality of your experience around horses isn’t the experience you want to achieve consistently, then hypnotherapy and ego state therapy are wonderful tools to achieve your goals. These therapies are a focussed, yet gentle, means to identify and release your limiting beliefs and emotions and to find the resources within yourself to achieve your goals. Her approach first identifies the cause of your angst eg fear, anxiety, lack of confidence, conflict. She then guides you through the release of those unhelpful emotions or beliefs. Finally, you identify and develop your own internal resources. This final step is very important to ensure you are in the right frame of mind at the right time. It is recommended that you are with your horse during a session. Jenny: Good luck with your career Jane, from my personal experience in a session with you, you deserve every success! Jenny Pearce Australia That’s me! Location: Rokeby Victoria (near Warragul) and I also work by distance all over the world. Modalities: I am an advanced kinesiologist, reiki master & Bowen muscle therapist. I do homeopathic medicine, herbal medicine, Bach remedies, acupressure, hormone balancing, food, vitamin & mineral testing and balancing, allergy testing, chakra balancing, accident and fright imprint clearing, genetic blueprinting (clearing genetic pre-dispositions) emotional defusions, emotional re- programming and the healing opportunity in the deep and meaningful relationship work with your horse – SPECIALLY the healing opportunity that is contained in the deep and meaningful relationship with your horse. I have developed a method of healing for riders themselves to release many of their horses’ physical problems themselves – while they work with the horse. This is particularly beautiful work and you can start to learn about it in the free lesson set The Six Keys to Happiness with Your Horse, register at the big yellow box at the top of this page. I often do my own horses’ feet and can test up around feet problems and lameness. I work by distance or in person, on the big picture of horse and rider healing from ALL kinds of problems from crook backs – to cancer – to horses who won’t get on the float. I am passionate about empowering people and horses to help themselves emotionally and with the amazing physical healing that can come from happiness. I am passionate about the healing ability in self carriage in horses (so easy when you know how) and the same deep healing that happens in good posture in people. I specialise in finding the things that are stopping our posture from being effortlessly powerful. Posture sounds like such a dry subject – but it transforms people’s lives and pain. Click here to have a look at this blog to see what I mean. I specialise in the horse human relationship, getting rid of fright imprints from falls and other accidents and emergency work such as colic attacks or accidents. About Jenny: I started my journey in this field 20 years ago and have developed much of the work that I do, which is now used all around the world successfully. Phone Australia 03 56110558 0r 0417 863394 I don’t mind getting woken up for life and death emergencies – but outside of that I would appreciate your attention to the time zone differences!! Click here for a time zone converter. About Jessica: I am a qualified Equine Sports Massage Therapist & Equine Bodyworker also certified in Myofascial Release and Red Light Therapy. I am passionate about making sure horses are as pain free as possible, and that owners are aware of treatments for preventative pain. With a BSc, I draw on a lot of physiotherapy using cold lasers, red light, electrotherapy, and ultrasound in my treatments. Having been a therapist for many years I am now passionate about teaching others equine sports massage for their horse, and now run an IICT approved Certificate in Equine Sports Massage Australia wide. Click here for Julie’s website. I specialise in giving you the unique opportunity to learn how to deepen your relationship, build trust and enhance your spiritual connection with your horse through the ancient healing art of Reiki. Inspirational and life changing, my courses offer a transformational healing journey with horses that are unique to the individual. Many participants say they’ve developed a better strategy for living happier, healthier lives and a closer bond with their horse as a result of learning how to reconnect with their inner self and the natural world through the practise of Reiki. • how to deepen your relationship with your horse by creating harmony and balance through mutual healing, meditation and spiritual connection. Fully accredited courses are run throughout the year at the Clarendon Forest Retreat on the beautiful Mid North Coast of NSW. Nestled between the Manning Valley and Forster in the Kiwarrak State Forest, this stunning country property is set over 1000 secluded acres offering plenty of space to relax and enjoy the serenity of this magnificent property, it’s the perfect location for you to immerse yourself in a very unique and life changing experience. Julie has been practicing Reiki since 1993 with a special interest in promoting harmony, health and wellbeing for horses and their human companions. As a qualified teacher of Usui Reiki Ryoho, she offers fully accredited courses in Equine Reiki, with courses scheduled regularly throughout the year at the Clarendon Forest Retreat on the Mid North Coast and at various locations around Australia. You can read more about her courses here. Location: Victoria, Australia is where the College centre is located. We offer training in all states of Australia and overseas in England, Canada and New Zealand at present. Education: BA, Dip Natural Med Modalities: Equine Naturopath specialising in Herbal Medicine, Nutrition, Red Light Therapy, Energetics & Trauma Rehabilitation. About Les: I’m passionate about herbal medicine and am constantly amazed by the positive results it has on horses. I’m often the last resort for new clients having been stung by huge veterinary bills for medicines that have proven unsuccessful, and have established a good client base on getting good results. I constantly research for new ideas and have developed several successful herbal mixes that cater for common problems which can be viewed from the Horsetail Herbs website. The Laminitis mix is the most popular and is now being recommended and used by bare foot trimmers & several rehabilitation centres throughout Australia. I’m currently working with several cancer cases and am beginning to see some promising results which will soon be available to view on my website. Apart from my work as a naturopath, I have rescued many victims of abuse and subsequent trauma, each of whom have taught me so much about horse psychology and given immense pleasure during their individual journeys through rehabilitation. About Lisa: I work with all types of animals and people. I make Homeopathic remedies, Flower Essences and Herbals and also have a Biofeedback Informational Medicine System that can analyse and balance for improved health etc.I have a Cert in Horse husbandry and pasture management from the early ’90s and been involved with horses most of my life since childhood. I have studied health and nutrition for 20 plus years and studied and worked successfully with Homeopathics and other Essences since the mid ’90s. I am very passionate about health, nutrition and natural therapies. I believe these things have so much to offer in so many ways and should be the first choice in preventative care and in overcoming problems. What Madeleine does: I treat both people and all other animals, including horses. I only use homeopathy and diet as I find they are the most effective and take up all my spare time in furthering my education about them. I do clinic consultations, home visits and Skype consultations. madeleine does a regular e-zine that you can regoster for on her website. Madeleine qualified as a professional homoeopath in the year 2000. She has been in full time practice ever since, treating both people and animals at her clinic, with home visits and using Skype for distance consultations. Homoeopathy is an energetic medicine which works by stimulating the immune system. This means, you won’t just see the resolution of the main problem you have. You will find other problems also disappear. Along with a quality, natural, species specific diet, homoeopathy can bring back harmony and health to any situation. Homoeopathy is effective when everyone else has given up! Safe, effective, energetic and economical, homoeopathy is the medicine of the future. Click here for Mandy’s website for horses and click here for Mandy’s website for riders. About Mandy: I am a qualified Equine Myofunctional Therapist (EMT cert) with The National College of Traditional Medicine in Victoria A member of SAENA (small animal equine naturopathic assoc) I have worked with and on horses for many years and have a passion for helping horses with massage and energy healing to improve their overall wellbeing. They give us so much, it is lovely to be able to return the favour! For the rider: Reflexology, Indian head massage, energy healing. Reflexology is a holistic way to assist the body to heal its self with massage to the feet or hands. Indian head massage is a shoulder, neck and head massage to revitalise and energise the body. If the rider feels happy and relaxed so will the horse! Click here for Mary’s website. About Mary: I am an Equine Cranio-Sacral Therapist, qualilfied practioner with Maureen Rogers, pioneer of equine cranio-sacral therapy. I am an Equine Myofunctional Therapist, qualified in 2003 with the National College of Traditional Medicine, Melbourne. In 1997 I gained a Certificate in Horse Studies at TafeSA encompassing Horse Movement and Psychology, Nutrition, Exercise Physiology, Anatomy, Physiology and Health, these also being part of the level II teaching module requirements. I also encompass the work of Jim Masterson, of The Masterson Method. I am a Barefoot Trimmer, studied with various practioners including Equethy and The Barefoot Blacksmith. I have been involved with horses for over 60 years I started riding at the age of 5. I have realised that to have a happy horse, working with you – not just for you – is so important. Balanced feet, lead to happy muscles, and a happy body. When I started to study massage I quickly realised that sore feet cause most of the back issues, and so another learning curve started to learn more about the biomechanics of the body and balance of the feet. About Natalie: I have been a qualified Equine Body Worker (EBW) since 2004 and am a founding member of IEBWA (International Equine Body Workers Association). I am also the NSW Co-ordinator for Equinology Inc Massage Courses. I am based in NSW with many happy clients in the Hawkesbury, Hills and Northern Beaches of Sydney, through the Central Coast up into the Hunter Valley and Port Stephens area. My wonderful clients include Grand Prix – Prelim Dressage Horses, 2-3 Star Eventers, Pony Clubbers, Cutting Horses, Endurance and the retired family member. Location: Canberra and surrounding NSW including the Southern Highlands, Yass and Cooma. I am interested in healing the whole horse, not just fixing a sore back or leg, I believe in a tailored approach that is complimentary to any veterinary approach. Horse like me, they always have, so I’m happy to work with even the most ‘shy’ or ‘difficult’ character in an effort to bring them to a comfortable and healthy state. Jenny: From my first hand experience, Robyn Larson-Shelton is one seriously talented and knowledeable lady and comes with my highest personal recommendation if you are lucky enough to live in her area. Location: I offer a mobile service in the Bundaberg & Wide Bay Region, and several times a year I am in the Warrnambool and South West Victoria region. I offer distance healing as well. I am qualified in Equine aromahealing, I will be qualified in Equine Reiki at the end of March, I am studying Equine Photonics (due to complete April) and Sports Massage(due to complete this year). I grew up with horses, riding, breeding, and training them. My journey took me away from horses, but I have never lost my passion to work with horses. Now I am following my passion for horses and loving everything I am doing with horse and rider. The more I learn the more passionate I am to pursue this, and share my knowledge. So how can Harmonizing Horses help you and your horse? Through the use of ancient wisdom and modern holistic techniques, I work with both rider and horse to strengthen the bond, reduce stress & anxiety, and improve the balance and harmony. I help owners/riders and horses to find a true, authentic connection. About Shauleen: My mission is to keep performance horses to keep performing. I want to be part of your horses health care team providing the best care possible to keep them healthy and happy. Currently I have started my Diploma which will provide my clients with more assistance in Rehabilitation, remedial massage, nutrition, Holistic therapies, Biomechanics and Alternative therapies. I am passionate about caring and helping you with your horse and will help in any way I can. About Sietske: Qualified Bowen Therapist for Horses and Small Animals (member BTFA) Qualified Equine Body Worker (member IEBWA) Qualified Red Light Therapist. Professional Hoof Care Barefoot Trimming. Using other modalities: ortho bionomy, aroma therapay, nutrition. Location: located in Sydney, working around Sydney Hills and Hawkesbury and up the Central Coast. Barefoot trimmer – I trained at the Australian College of Equine Podiotherapy. Phone is 0421 426 119. Facebook page which is called SM Hoofcare where I post updates on where I’m going to be working. About Susan: I hold a Diploma of Remedial Massage Therapist since 2005 Qualifications in: Remedial Massage, Myofascial Release Therapy, Sports Massage, Trigger Point Therapy. I have completed Equine Myofunctional Therapy certificate in 2003 but have not joined their society. I completed an Associate Diploma in Applied Science(Horse Husbandry) at Uni SA in 1991/2, including: Equine Anatomy and Physiology, Horse Health, Performance and Fitness Training This year I am studying accupressure. I have studied herbal remedies, and am will refer clients on to qualified practitioners if I feel it is needed. I am really keen to help people and horses through massage therapy when they are struggling with a physical or emotional issue. Location: NSW Central Coast – a mobile service to Northern Beaches, Hawkesbury, Newcastle, Hunter Valley, Port Stephens, Taree. I consider myself very blessed to work with all types of animals and people in my chosen vocation. I am extremely passionate about, and dedicated to assisting my clients, whether they are two legged or four, to achieve health, wellness and balance. However, I must admit that I have always been more passionate when working with animals, horses especially. Becoming very involved in animal rescue and rehabilitation with my husband, I discovered relatively early in my career that I never considered myself owning my animal family, but instead I became their guardian and protector; so a relationship of strong mutual acceptance, love and friendship quickly developed. Starting my life as a dedicated animal lover, and then developing my skills in providing mental, emotional and physical wellbeing ­­­­is a fundamental part of my relationships with my client and the journey never really ends! Following my extensive training over the years in EMRT/CCMRT through the Equus College of Learning and Research, I have discovered my particular niche in not only providing a remedial and therapeutic service, I am also able to connect with these amazing creatures. 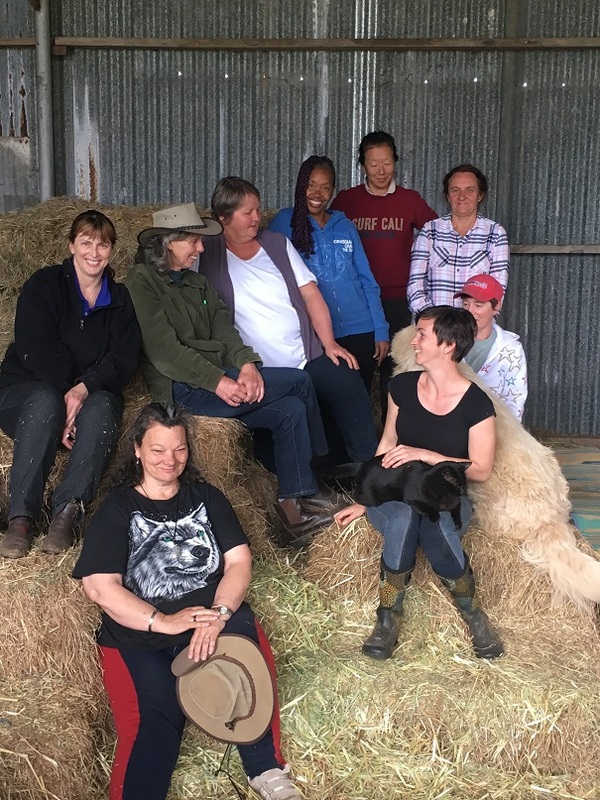 And so my practitioner journey continues and develops when introducing and facilitating a connection with animals with the intention of discovering a healing pattern within the human. See Virginia’s website above for more details. Modalities: Diploma in Specialised Bowen therapy and starting the masters in a couple of weeks, Bowen/ Muscle release therapy for cats, canines, humans and equine and Remedial massage therapist.